Businesses may be forced to raise prices if all commercial banks in TT decide to increase their prime lending rate, warns TT Manufacturers' Association (TTMA) president Christopher Alcazar. "The business sector collectively may face increased pressure in terms of keeping its prices at competitive levels. Some companies that are not heavily reliant on expanding their credit facilities with the banks may be in a better position to absorb the impact of the increased rate, while others may be forced to pass these costs unto their customers in order to maintain their margins." Alcazar said TTMA members may face similar pressures as the rest of the business sector. "Some manufacturers in particular, already faced with the cost constraints associated with unpaid VAT refunds and difficulties in accessing foreign exchange, may choose to either review their cost structure to become more efficient, and, or, raise prices marginally if they are already operating optimally." The TTMA head was speaking with Business Day about the recent prime lending rate increase by Republic Bank Ltd (RBL) and RBC Royal Bank TT (RBC). 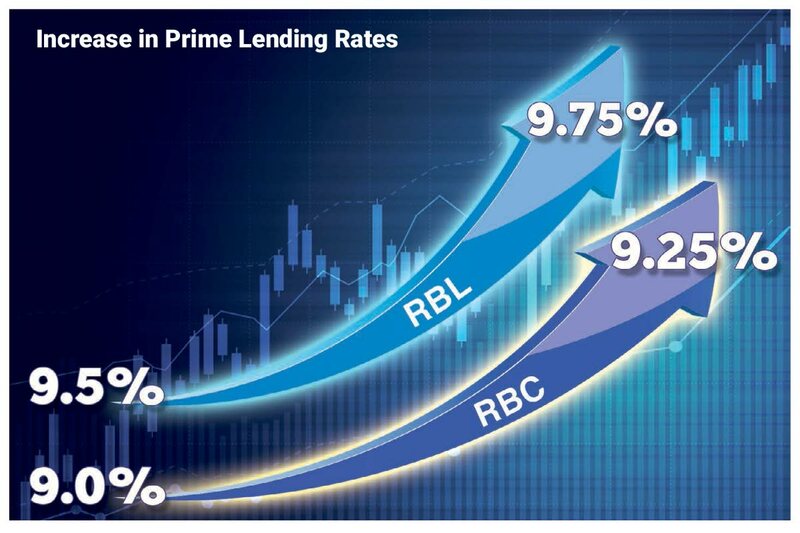 Effective July 16, RBL increased its prime lending rate from 9.5 per cent to 9.75 per cent. Then, effective August 13, RBC increased its rate from nine per cent to 9.25 per cent. This comes after the June 29 announcement by the Central Bank – in its monetary policy announcement (MPA) – that the repurchase rate (repo rate) had increased by 25 basis points, from 4.75 per cent to five per cent. Prior to that, the repo rate had held constant at 4.75 per cent since December 2015. To date, the two other banks – Scotiabank TT Ltd (Scotiabank) and First Citizens– have not adjusted their rates. In practice, the prime lending rate is the rate that applies to clients in the middle of the range when it comes to the risk associated with their project/business. RBL managing director Nigel Baptiste said the most credit worthy customers can therefore, "many times, enjoy rates below prime while the more risky clients would be charged rates above prime. The difference is calculated per customer with the bank having a risk scale that takes into account many variables that differ across clients and projects." Describing the increase by two major banks as less than ideal, Alcazar said manufacturers have not had the feeling the economy is in recovery, "so any notion that the increased prime lending rate is indicative of a strengthening economy does not hold true for the manufacturing sector." "It is left to be seen whether the increased lending rate will lead to a shrinking in credit creation in the medium term, which could have the adverse effect of slowing growth in the private sector." Baptiste told Business Day the change in RBL's prime rate "applies to all commercial lending facilities such as, overdrafts, commercial loans, commercial lines of credit, commercial bridging loans and commercial mortgage loans." Credit card holders, however, can breathe a sigh of relief, as Baptiste pointed out, "The interest rate on credit card facilities is fixed, as are the interest rates on retail loans such as vehicle loans. The latter is fixed for the period of the loan while credit card rates can vary but are not linked to movements in the prime lending rate." Jacqueline Taggart, director of Strategic and Corporate Communications, Caribbean Banking, P&CB at Royal Bank of Canada, Toronto, said the rate increase does not apply to all of their clients and products. "It primarily affects commercial loans and mortgages. Residential mortgages and personal loans are not tied to this benchmark." Retail mortgages are not tied to the prime rate but to the Central Bank's mortgage market reference rate (MMRR) and will therefore vary as the MMRR varies. Commercial mortgages, however, are tied to the prime rate but, as Baptiste noted, usually have a built in notice period. "That notice period," he said, "is usually designed to provide clients with time to adjust their business patterns and, in practice, has been used by clients to fully explore their available options." Reminding that a repo rate increase typically "signals to financial institutions and the market how the Central Bank sees interest rates trending," Taggart told Business Day, "RBC did not implement the increase immediately like some of our competitors, as we have a protocol to inform our clients of the change and provide 30 days’ notice prior to implementing it." On the decision to adjust its prime rate, Taggart said it involved more than just the repo rate adjustment. "A number of factors and market conditions have increased our cost of funds, including the rate we pay in the wholesale market, the increasing regulatory costs of holding mortgages on our balance sheet, market volatility and more." Taggart added, "In a persistently lower rate environment, funding costs have steadily increased over the past few years." She said it was after careful consideration of these and other factors that RBC chose to increase its prime rate 25 basis points to 9.25 per cent. Speaking about why banks tend to adjust their prime rates to match movements in the repo rate, economist Dr Ronald Ramkissoon reminded the repo rate is the policy rate in the context of TT. "It signals the direction in which the Central Bank wishes to see interest rates go, in the context of overall market conditions. The Central Bank considers the differential between US and TT treasury bill rates, the inflation rate and growth in GDP and its expectations for the movement of these variables." Business Day also asked a retired senior banker what trends he observed about economic activity in relation to the rise and fall of the prime rate. "Interest rate is not a major driver for commercial activities. When rates were high in late 1990s, there were lots of economic activities (yet) in times of low rates, activity was low," said the banker, who preferred anonymity. Responding to a similar question, Baptiste said it is difficult to accurately say whether the number of loan applications rose and fell as the prime rate rose and fell during the last 24 years. "There is no direct correlation between the number of commercial loan applications and the rise/fall of prime lending rates. Interest rates tend to be adjusted in response to expected developments re domestic demand – in an attempt to limit inflationary pressures – and international rate movements – to preserve the integrity of the exchange rate. "Loan applications are based on many variables including but not limited to clients’ assessment of the profitability associated with the desired project/opportunity. Clients also take into consideration the wider economic context in which that decision has to be made and the options available to them. Clients then factor the debt servicing arising out of the interest rate environment when making their final decision," Baptiste said. Adding to this, Ramkissoon said lending rates – prime or others – represent a cost to customers and higher rates are likely to ultimately restrict borrowing just as lower rates can expand borrowing. "Lower rates tend to encourage economic activity including consumption, investment and growth. With this can come inflation and foreign exchange leakage. Central banks try to strike a balance amongst these variables. It should be noted that borrowing costs represent only one part of the cost of business or other economic activity. Accordingly, economic decision-making depends on other considerations as well." 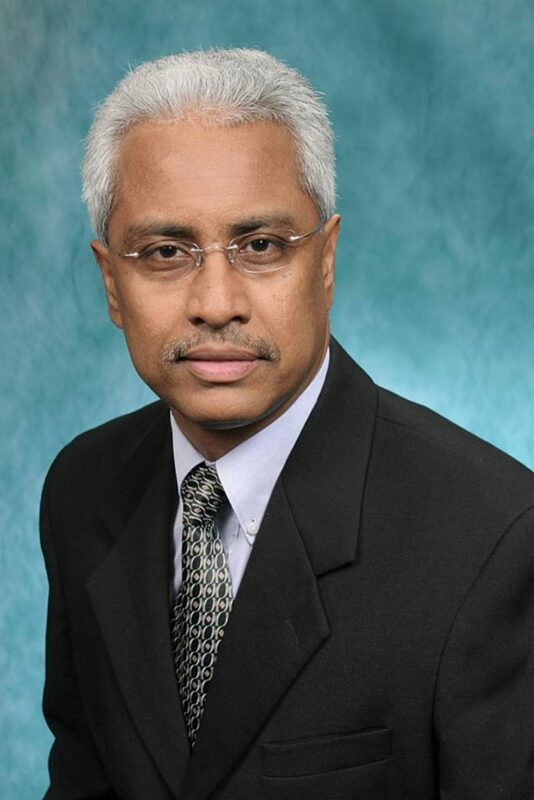 Ramkissoon said he expects Scotiabank and First Citizens will raise their prime rates too in the coming weeks – a widely-held belief given the history of commercial banks adjusting their rates to reflect changes in the repo rate. Asked how this may affect individuals and businesses, he said, "Increased rates may deflate retail consumption and of course the business or commercial sector will pay more on their borrowings. Should mortgage rates increases, mortgagors – retail – would be under pressure due to a higher repayment." Economist Indera Sagewan argued banks do not have to adjust rates simply because the repo rate went up. "When you look at the extent to which the banking system is flushed with liquidity and the extent to which borrowing for investment purpose is comatose, it really makes very little sense. If, at your lower rate, people are not borrowing to invest, they’d hardly now be borrowing to invest when you increase your rates." Commenting on this, Alcazar said, "In terms of a possible point made on investment, manufacturers are indeed looking for new opportunities to invest. So these rate increases may be counter-intuitive to the sector’s efforts to grow. Our hope then is that the other commercial banks do not follow suit." Baptiste also responded to Sagewan, telling Business Day, "I am not sure the comments are grounded in fact. Total commercial – and personal – borrowings in TT have increased over the years though, it did fall in some and was flat in a few." Baptiste said this can be borne out by available Central Bank statistics. "Industry-wide, between 2009 and 2013, corporate and commercial loans remained relatively flat around $22 billion despite declines in interest rates. Central Bank policy rates increased slightly in December 2015 and remain flat. "However, from that period to March 2018 corporate and commercial loans increased to $27 billion. The growth in personal loans was even more dramatic from $17-to-$31 billion over the period 2009-2018. 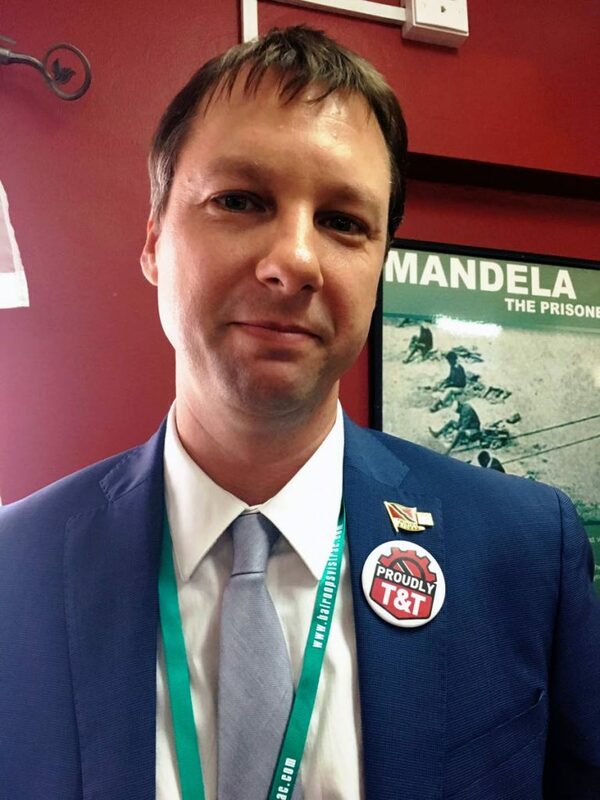 This demonstrates that economic conditions drive investment decisions – as opposed to interest rates in the TT environment," Baptiste told Business Day.